Call us at (850) 878-6233 today. Dr. Whitfield has dedicated his life to help people recover from car accident injuries, personal injuries and any pain they may experience throughout their life. He does this because he loves his work, which is to make people feel better and become healthier. A chiropractic treatment is adjusting the segments of the spine in order to keep the nervous system free of pressure or impingement. This allows the nervous system and the brain to communicate freely, and restore the body’s natural healing ability. Generally, there are two ways that you can experience nerve stress and tension (subluxation). One way is slow degeneration of the spine. Unfortunately, degeneration happens to everyone, but we can combat our bodies natural degeneration by exercising regularly and eating well. The other way is by suffering a traumatic injury. A traumatic injury can be a car accident or even just a slip and fall. 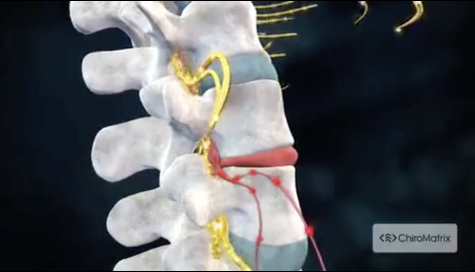 When nerves in your spine are impinged you may feel the effects all over your body. It usually starts at the spine but the pain can quickly spread to other parts of your body. Think of your spine as a highway. It has many exits that lead to other parts of your body. Preventing the pain and dysfunction is what Chiropractic is all about. Keeping your spine in alignment not only helps restore normal nerve function, but can prevent health problems from starting. Prevention and maintenance is the best thing you can do for your body. Here are a few tips for you to improve your health; stretch your entire body 10-15 minutes a day, exercise for 15 minutes at least 3 times a week, maintain a balanced diet, get your spine adjusted regularly, practice proper posture as much as possible. Follow these five easy steps and your health will improve. "His wonderful friendly staff worked me in the same day I called and Dr Whitfield was wonderful! He helped me immensely and within just a few visits I felt so much better! He is so nice, easy to communicate with, compassionate and really knows what he is doing! He gave me great advice and exercise booklets. He has rehab machines and different therapies. He takes x-rays and explains everything very well. I can’t praise his office enough – besides so friendly, it’s immaculately clean!" "Dr. Whitfield has kept me walking for the past 20 years. Without him I would be in a wheelchair. He is a special person who is caring and really likes to help those he can"
"As an avid martial arts instructor, I have found that regular Cryosauna treatments have reduced my chronic inflammation, pain and eliminated the need for anti-inflammatory drugs such as Ibuprofen and Aleve." "I sincerely DO recommend Dr Whitfield to everyone in our area who has aches and pains!" "I had frequent, severe headaches, pressure & pain behind my eyes for many years which had grown worse in the last six months. I was getting no relief from the Neurologist I was seeing. It was very debilitating and I was unable to function many days. A friend recommended chiropractic care with Dr. Whitfield and since I started care all that headache pain & pressure is gone now and I feel so much better!"